Specialty outdoor retailers were getting some much-deserved attention this past week. With an expected excess of inventory to hit the active-lifestyle market following several high-profile, big-box retail bankruptcies in the space, brands at the Spring Grassroots Outdoor Alliance Show in Albuquerque, NM (June 13-17) were doubling down on their partnerships with these smaller, but more influential group of retailers. By that, Allen meant that the established and well-run businesses (such as Grassroots’ membership) would likely come out on top as those who rushed to active-lifestyle hoping to make a quick buck in the past years would fall by the wayside. 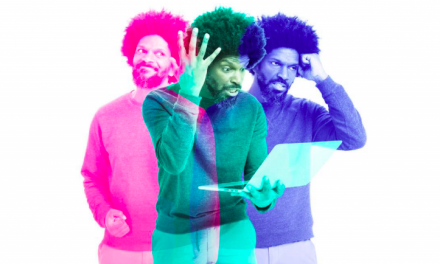 Still, he stressed that specialty retailers “need to pick their vendor partners carefully,” talking among their retail peers to see which brands were doing things right. SGB Executive was onsite at show and observed plenty of that kind of conversation. The week-long event, that pairs the organization’s core outdoor retail and vendor members to conduct business in the early ordering season, then shifted gears to its “Connect” portion on Wednesday, where it expanded the show to 100 affiliate retailers and vendors. News also came from Allen in his announcing that he would step down as GOA president later this summer. After two years on the job, Allen said it was time for him to get back to his family and business, Sunlight Sports in Cody, WY. Allen said he will likely stay on through at least August, helping search for a new president, who he said should bring a fresh skillset to the job, which has expanded as the organization has grown. 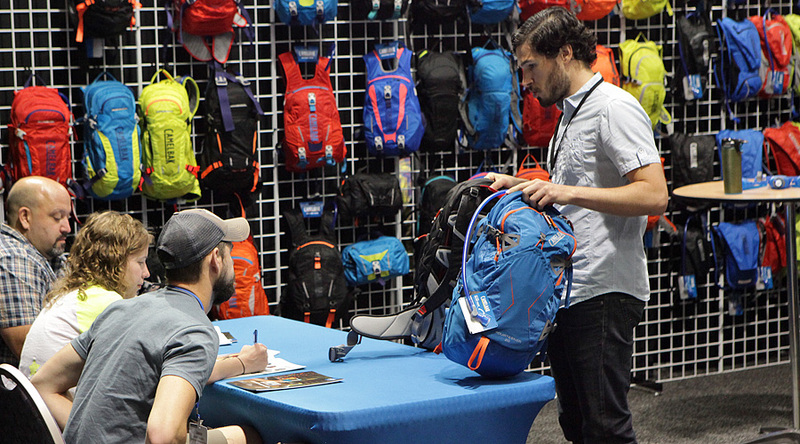 Grassroots has grown in large part by billing itself as a show where business gets done versus the larger Outdoor Retailer, which many feel is more of a marketing show. 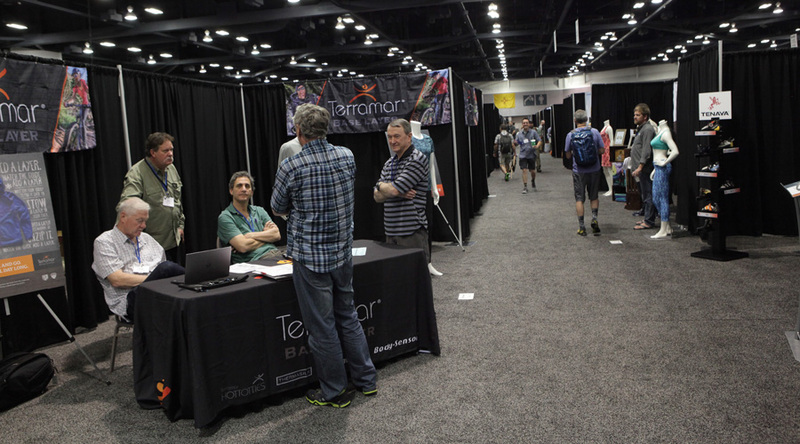 “Unlike other trade shows, people make an appointment here and they keep,” said Russ Pitman, vice president of sales at Terramar Sports. 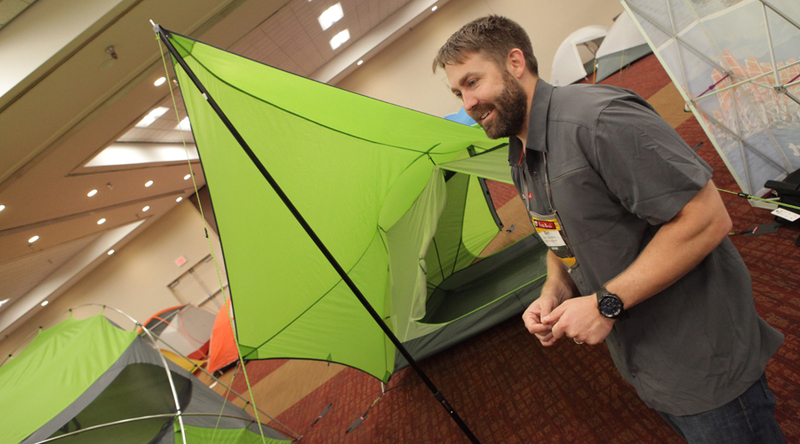 Nemo Equipment Director of Sales Ben Saunders shows off the brand’s new tents for 2017. While much of the focus at Grassroots is on doing business — booths are notably low-key with only a quarter of a brand’s space allowed for marketing and merchandising — the show does give the industry its first, hands-on look at product slated for spring/summer 2017. The most visibly active space is camping equipment, where brands are reaching out to new “outdoorsy” customers hunting for products that aren’t solely meant for backpacking, or even car camping. Now designers are thinking of music festival goers, sports fans, hunters and anglers. Nemo Equipment Director of Sales Ben Saunders described the current state of so-called “lifestyle camping” as a “cross between tiny houses and RV-ing.” People want to be mobile, but comfortable, he said. To that end, on the show floor, we saw a merging of tent, shelter and yurt designs, many with huge, front porch-like canopies providing shade, and in some cases, bug protection to encourage hanging around the tent. “It’s aspirational,” Saunders said. Customers can imagine using the multi-faceted shelters in many different ways. Retailers told us they saw a bounce in camping and backpacking sales this spring, largely fueled by recent media and movies on the topic and the National Parks’ centennial celebration. Another area of movement on the technical/performance side is so-called cooling fabrics. Brands are moving away from chemical treatments toward more mechanical solutions such as phase-changing materials that will open up when they sense heat and sweat and close off when its too cool. Lifestyle and fashion pieces remain a big trend — not just in apparel, but equipment, too. The boom in bright colors is shifting — not back to black and grays, however, but to more subdued colors, particularly on the women’s side with more gender-neutral blues and greens versus hot melons and pinks, said Sara Roberts, sales manager for Stonewear. There are lot of black curtains at Grassroots. Brands are only able to merchandise 25 percent of their booths to keep the focus on business. When specialty retailers gathered to talk, much of the talk centered on controlling inventory. “We’re not going to rush ahead to order and then race back to cancel,” one retailer said. The end result is shifting some the inventory risk back the brands. Brands were also talking about getting better control over their minimum-advertised-price (MAP) polices — although it’s a tune many retailers have heard before. At Helly Hansen, Director of Sales Brent Turner said the brand has had success keeping to its MAP policy through February, instead of breaking it right after Christmas. 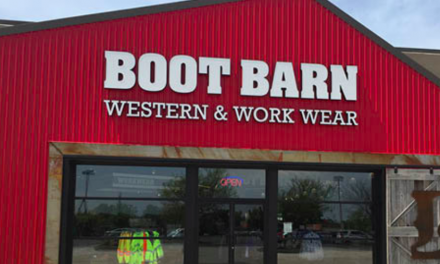 The brand has also limited some of its lines to only specialty retailers. “Retailers don’t want to go online and find it everywhere,” he said. Brands must also do a better job marketing the products they sell retailers, Walbrecht at Mountain Hardwear said. Brian Reed Joins Alpha Golf as Nat’l Sales Mgr.